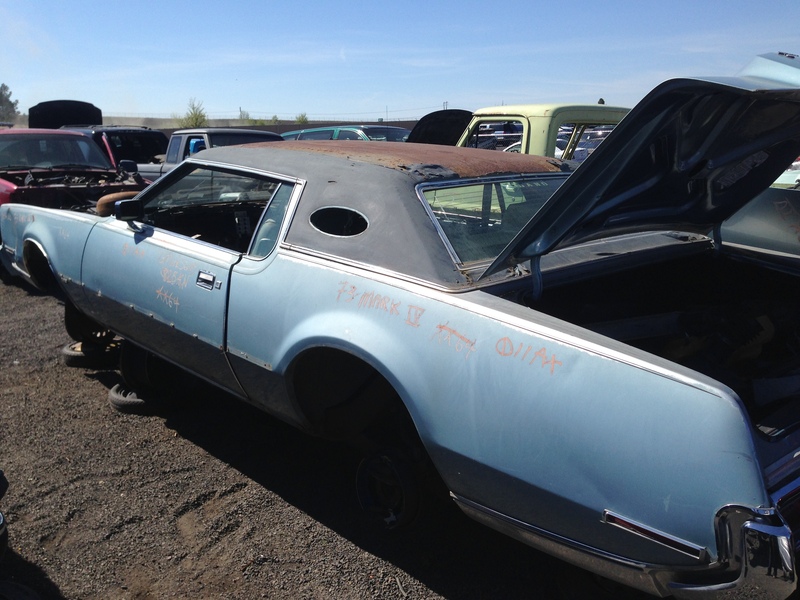 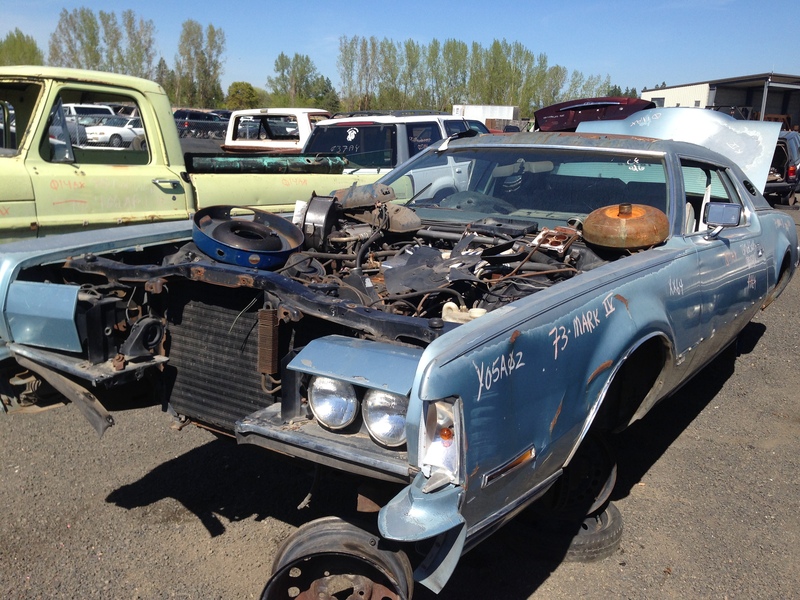 The scavenging has already begun on this 1973 Lincoln Continental Mark IV. 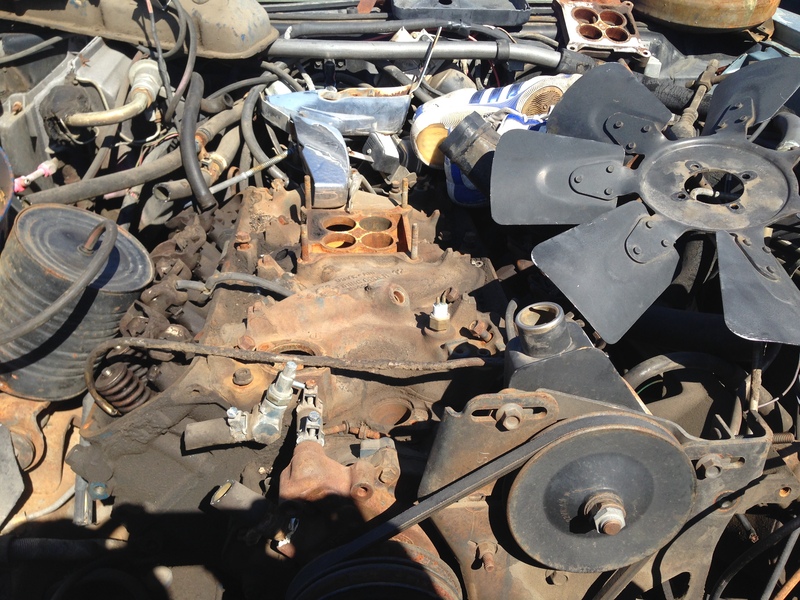 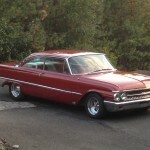 Big Ford 460 V8 ripe for the picking. This was the beginning of the smog era (note the snakes nest of hoses) so while down on horsepower numbers, there’s still oodles of low end torque. The small “opera” window has either been taken or broken out by vandals. Factory color was Silver Blue Moondust.